The students have all arrived here at Qwanoes. Despite the jet lag some of the students experienced they were all excited and full of energy to kick off with orientation. Students became familiar with the facilities here at Camp Qwanoes, as well as getting to know each other and the Qwanoes staff through games, beach parties, and enjoying meals together. After a few days of getting to know the people that they would be spending the next 8 months with we sent everyone straight up a mountain. After spending Sunday evening dividing up food and camping equipment, we set out early Monday morning to begin our journey to the summit of Mount Albert Edward. Located in Strathcona Provincial Park, Albert Edward has an elevation of 2,093 meters. We left the parking lot Monday with half our group headed to Circlet Lake and the other half to Kwai Lake, setting up basecamp at the 2 separate lakes for the night. Tuesday morning, we all met up at Circlet Lake and set off on a vertical adventure towards the summit with our packs full of any of the snacks we would need for the day. The day of the summit, we had the nicest weather since the students have arrived, sunny and clear skies. On our way up, we could see the snow peaked mountain top in the distance, seemingly so close, but the pain we all felt in our legs made it feel so far away, but this pain only gave us all one more thing to bond over. After several hours of seeing the mountain’s summit in the distance we finally reached the top, where all our hard work paid off. Basking in all the glory of the mountain top, we all sat in the snow rejoicing in the mighty victory that we had achieved together. Returning to our campsites after a long day of hiking we all slept like rocks. Wednesday morning, we packed up our tents and headed out. By the time we arrived back at Qwanoes we had enough energy to do a load of laundry and go to bed. We are so excited to welcome our first professor of the year out from Briercrest to teach our Spiritual Theology class. The students are working hard at preparing for their first class starting on Monday, reading books and memorizing Bible verses, eager to press into the beginning of the academics for the year. That the students would continue to settle in to their new home for the next 8 months, connecting with each other and their churches. As we enter into our first class that the students would be attentive to how the knowledge that they are about to acquire, and allow it to soak into their personal walks with Jesus and spur them on for growth. So here we are, finding ourselves in the middle of September, once again gearing up to start Kaléo 2018-2019. We are so excited for our students to arrive. We have been anticipating the day we get to welcome all the students here to Camp Qwanoes to begin the Kaléo program. 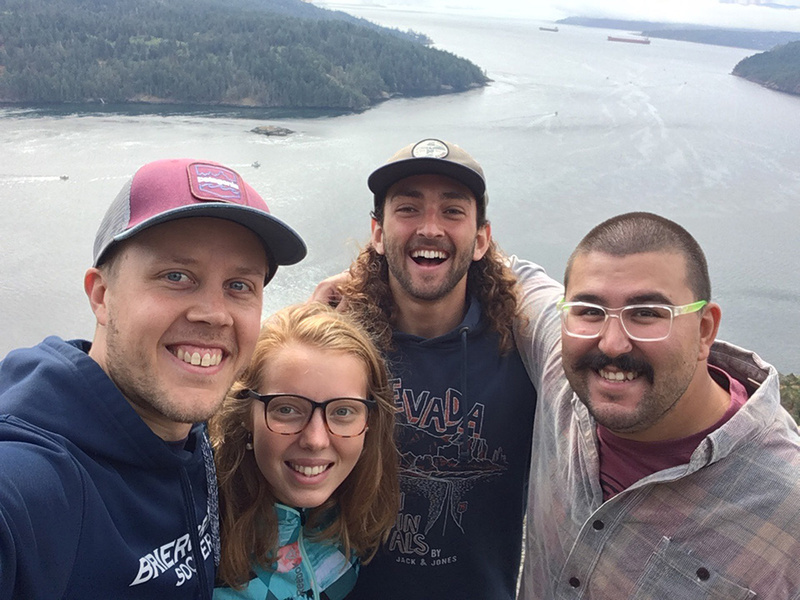 Corey Reimer, Program Leader, Sarah McQarrie, Female Intern, Daniel MacCallum, Male Intern, Kurt Jones, Assistant Program Leader. We are feeling so good about this group of 18 young people that God had called from all across Canada to devote this next season of their lives to discover what it means to be a disciple of Jesus Christ and a leader in His Kingdom. 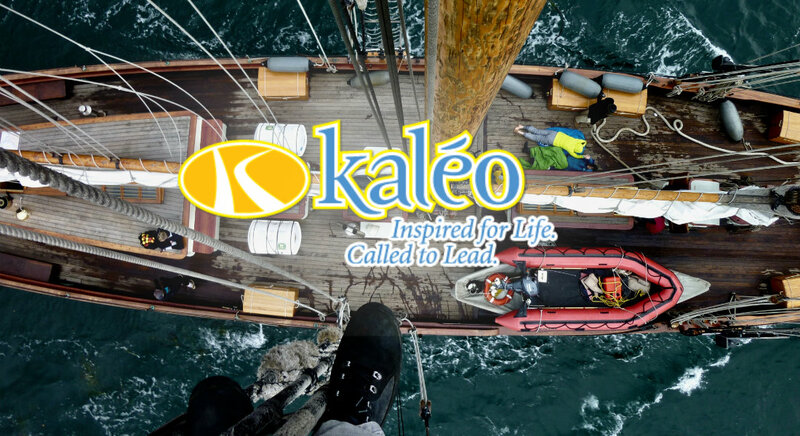 Our Kaléo program leaders have been working tirelessly to prepare to welcome the students who are about to embark on a full 8 months of intense learning through the experiences of academics, ministry, leadership, adventure all while submerged in a small community that is contagious for growth. Upon arrival, the students will be given their room assignments here at Camp Qwanoes in the Pacific Woods Lodge, which looks out over the Pacific Ocean towards Salt Spring Island. When the students have settled in we will begin our orientation, which will include; what life at Qwanoes looks like for the next 8 months, getting to know their leaders, the staff, and each other. The orientation also includes a beach party at Qwanoes beach, a challenge course workshop. Where they will be trained to work in Camp Qwanoes’ challenge course. The students will also learn which churches that they will be attending for the next 8 months, meeting their pastors and discovering in what capacity they will be serving at their church throughout the coming months. We are so excited to meet the students as they arrive and get settled in. For our students as they step into an amazing year of Leadership, Academics, Adventure, Ministry, and Community. As well that their hearts would be softened to ways in which God wants to work in their lives over the coming months. Stay tuned for photos and updates on the next few days of orientation.